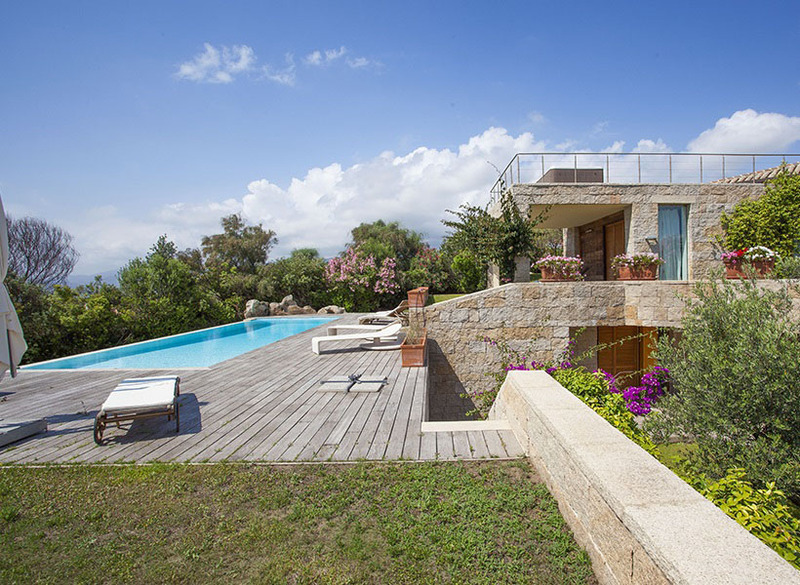 This exceptional property with spectacular sea views is located just above Porto Rafael within walking distance of five beautiful Sardinian beaches. 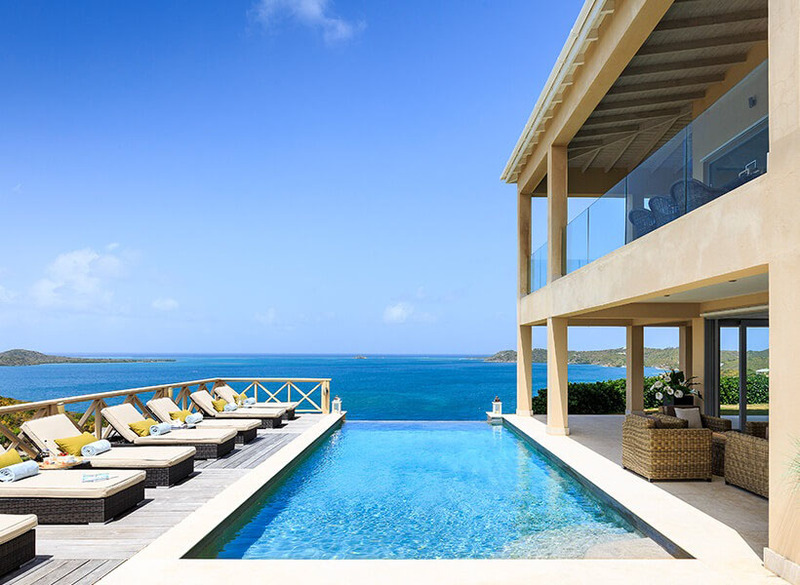 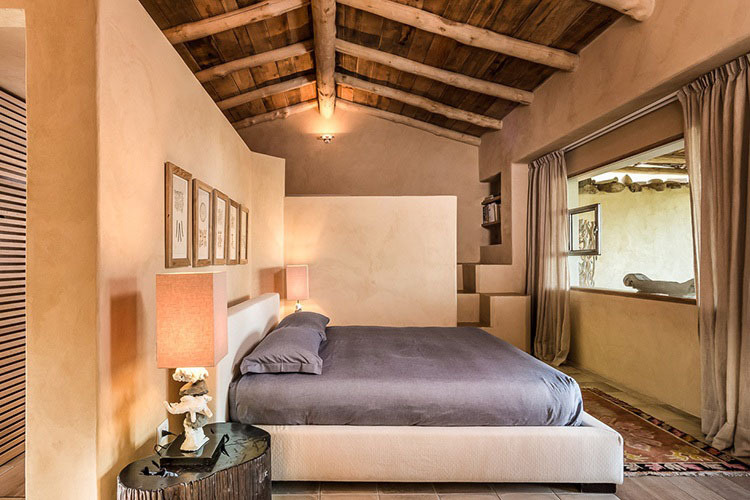 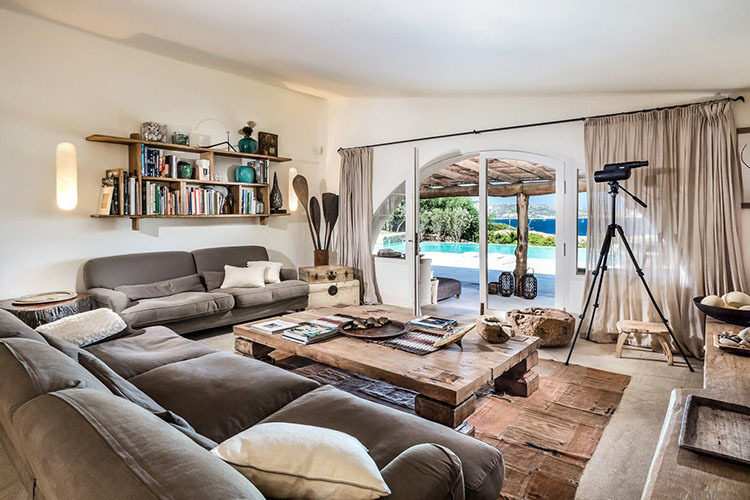 Charming, tasteful and stylish in equal measures, this luxury villa’s exquisite interior is matched only by the striking beauty of its exterior. 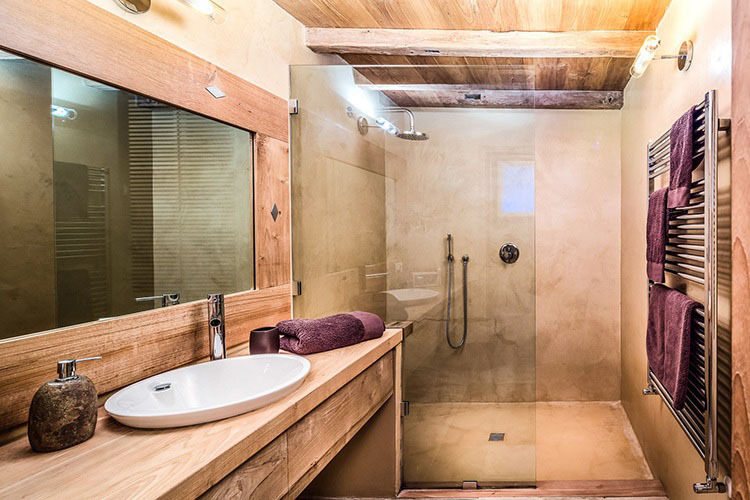 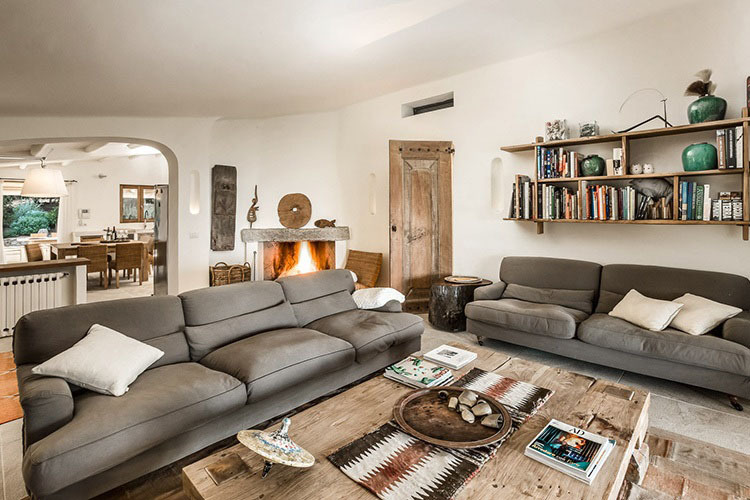 From inside to out, every element of décor and finish has been carefully thought out, with exposed beam ceilings, brick fireplaces and vintage wooden doors offering a traditional feeling of warmth and comfort, and modern touches like a sauna and home theatre providing the wow factor. 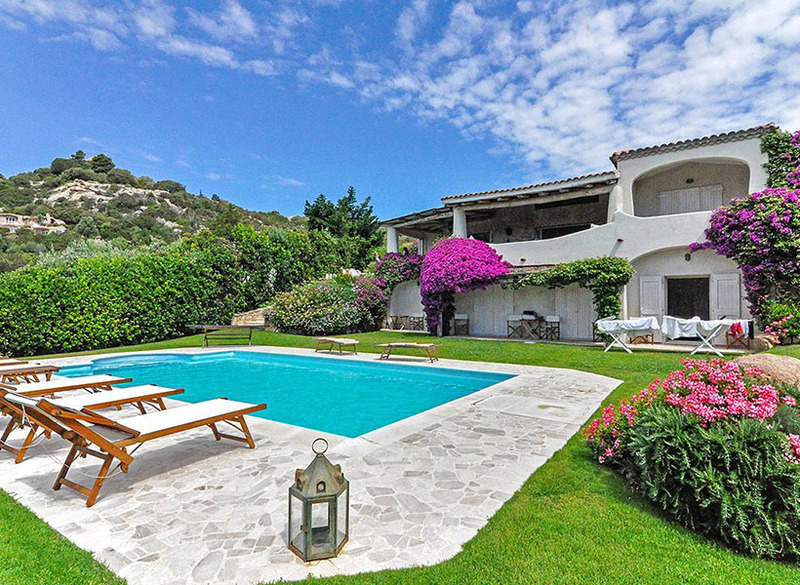 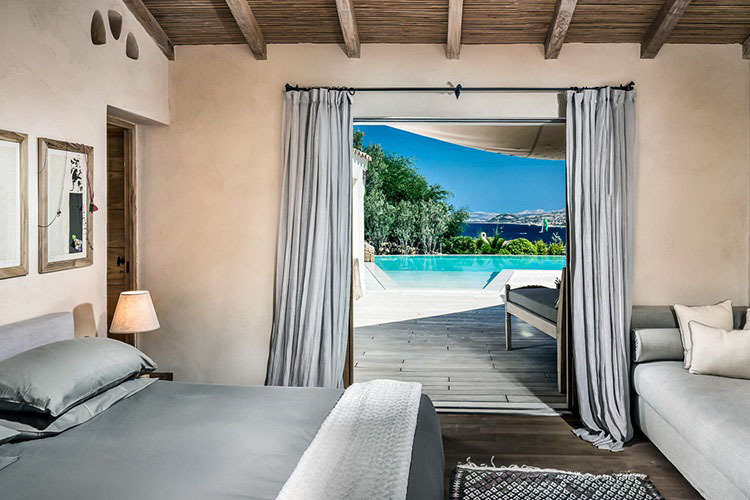 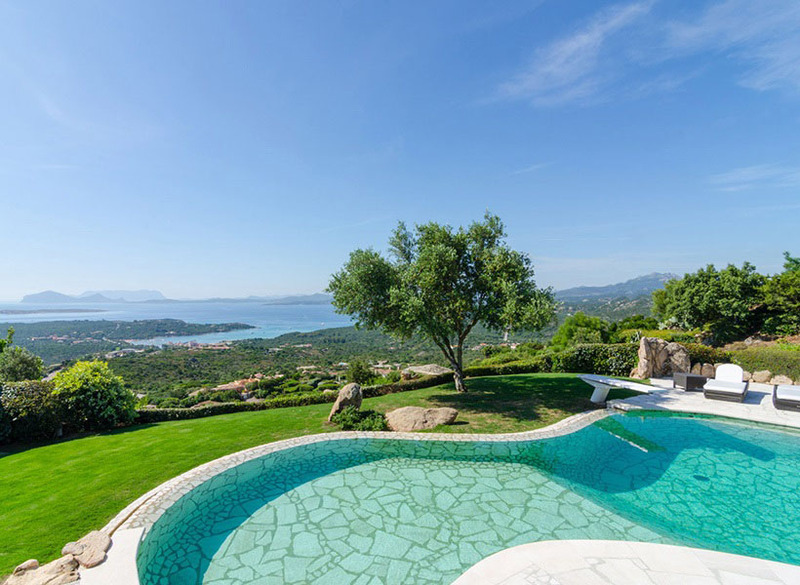 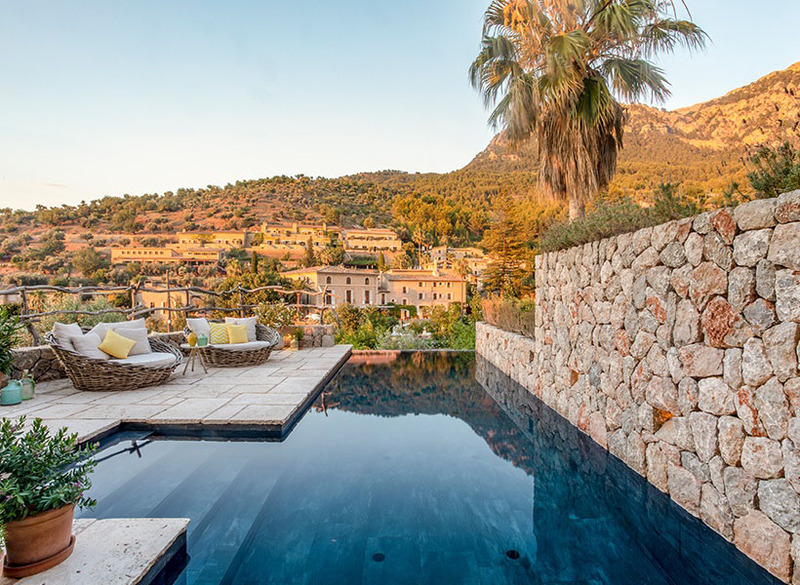 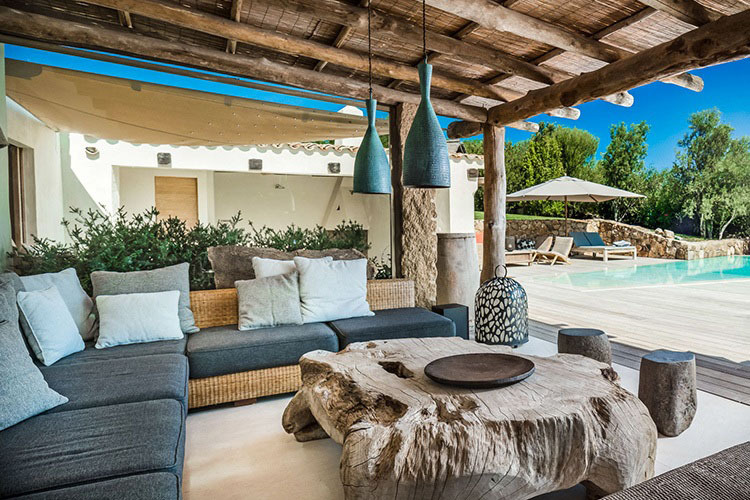 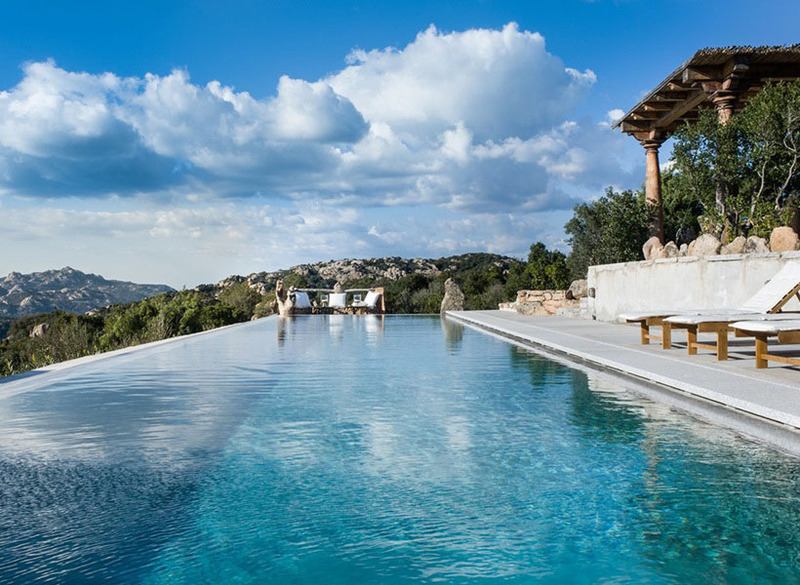 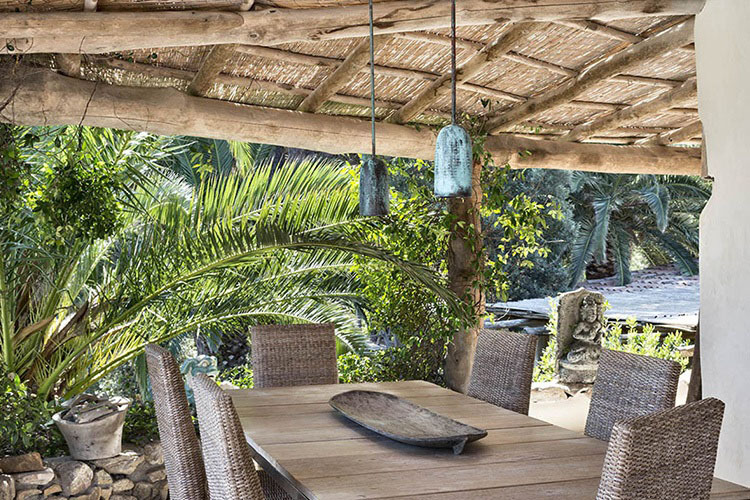 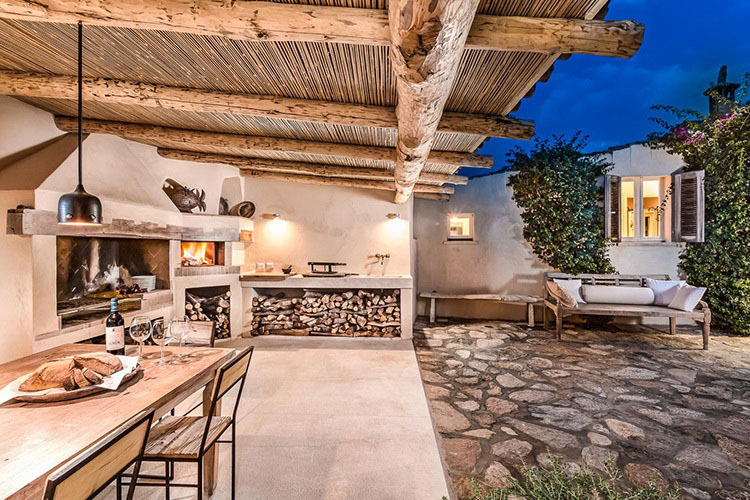 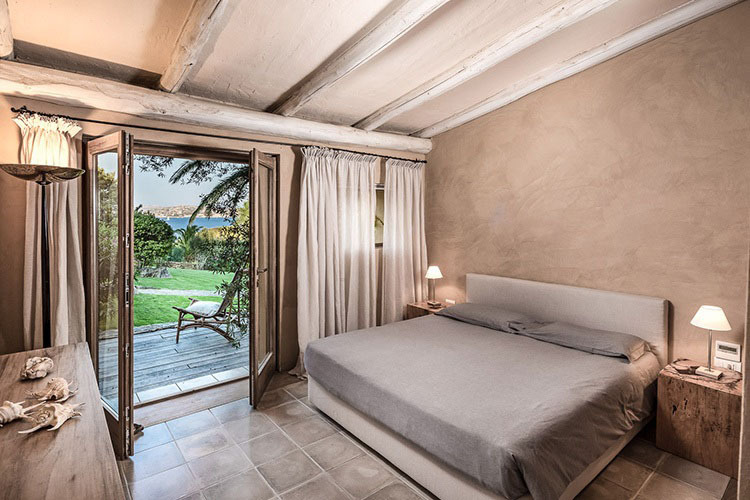 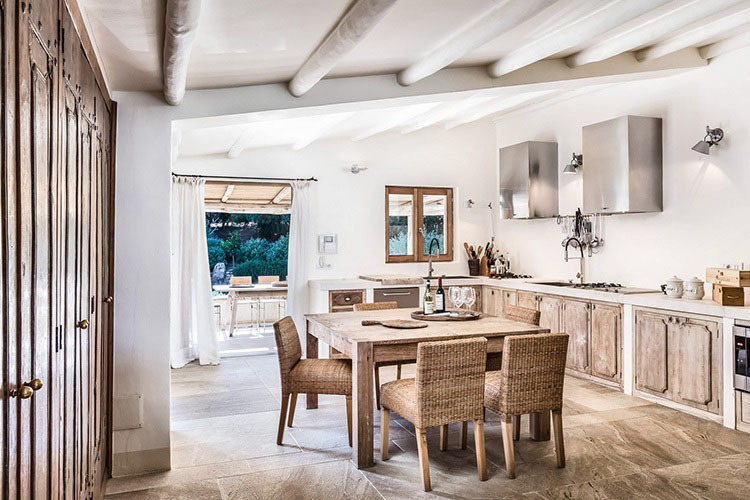 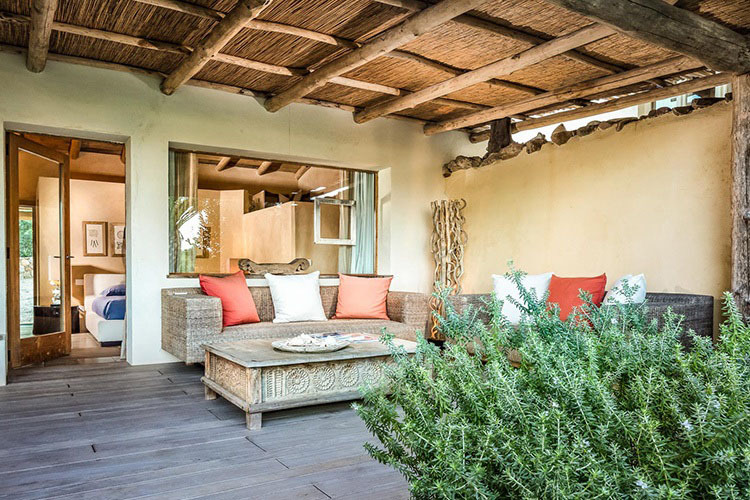 With a fantastic terrace and wooden deck with infinity pool, excellent space inside and out and a location in the heart of one of Sardinia’s most charming areas, this is the ideal property for a blissful vacation with family or friends. 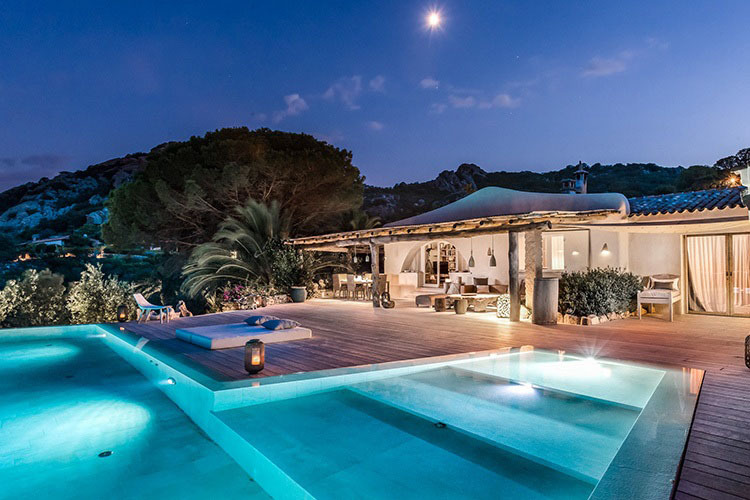 Exterior features include: Stunning wooden deck area with luxury infinity swimming pool and spectacular views over the sea and the La Maddalena archipelago – Beautiful terrace with luxury daybeds and sun loungers, covered seating area with sumptuous outdoor furnishings, al-fresco dining and loggia with BBQ and pizza oven – Lush, green surroundings. 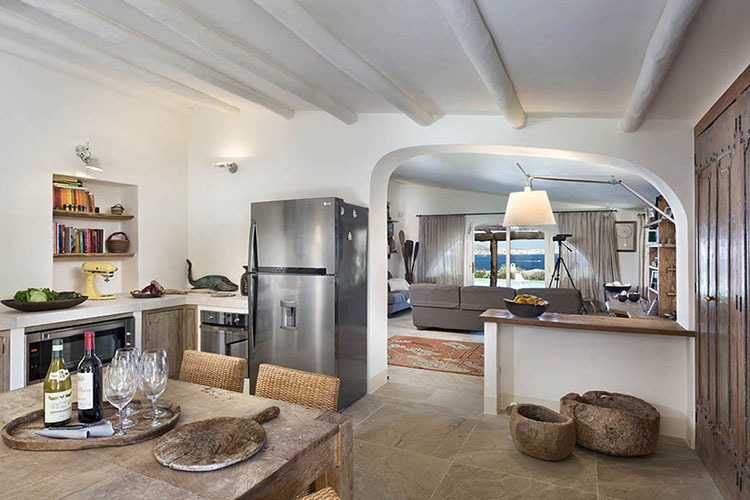 Interior features include: Large living room with plush sofas, elegant furnishings and doors leading out to the terrace – Stylish well-equipped kitchen with indoor dining table and access to the covered outdoor loggia and al-fresco dining area – Beautiful master bedroom with dressing room, large shower and doors which open out on to a courtyard with outdoor shower and sauna – Four double bedrooms with en-suite shower rooms and access either from inside the house, the terrace or the garden – Independent apartment with twin bedroom and shower room. 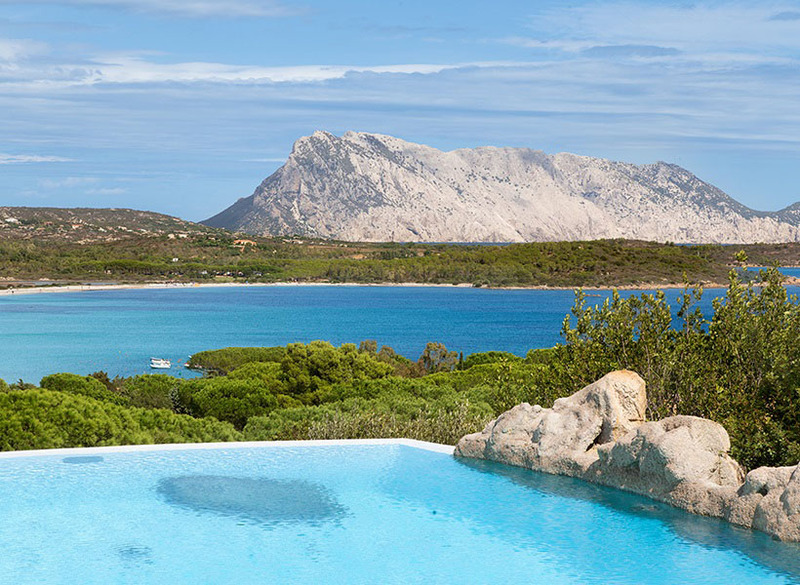 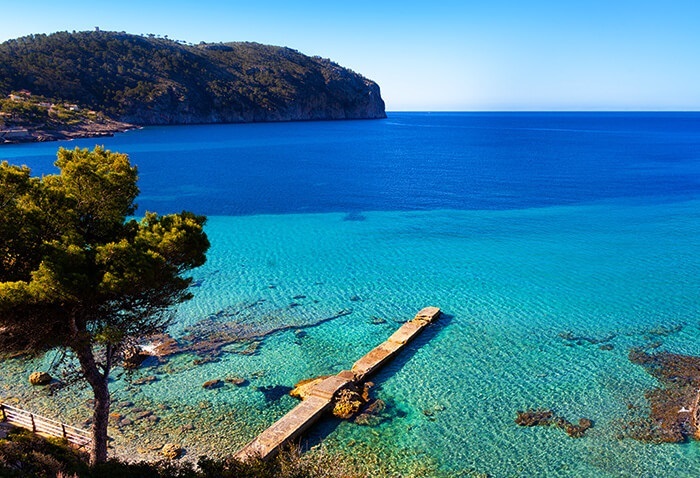 Famous worldwide for its beautiful beaches and glitzy resorts, Costa Smerelda and the northeast coast are undoubtedly Sardinia’s most popular and well-known areas. 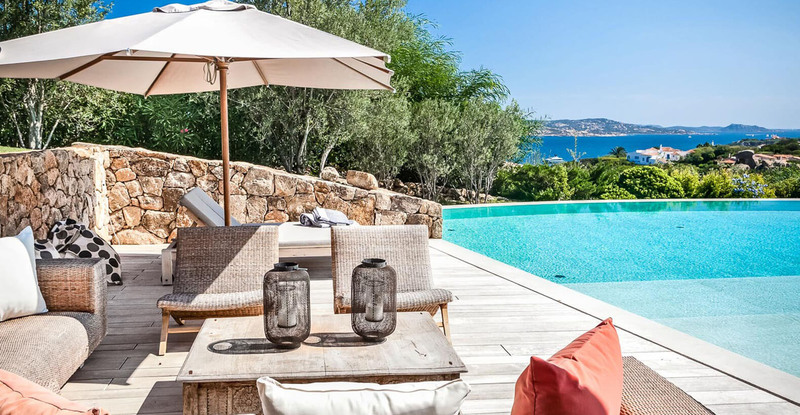 Stretching between the Gulf of Cugnana and the bay of Arzachena, the Costa Smerelda is home to glamorous Porto Cervo, the ultimate place to see and be seen. 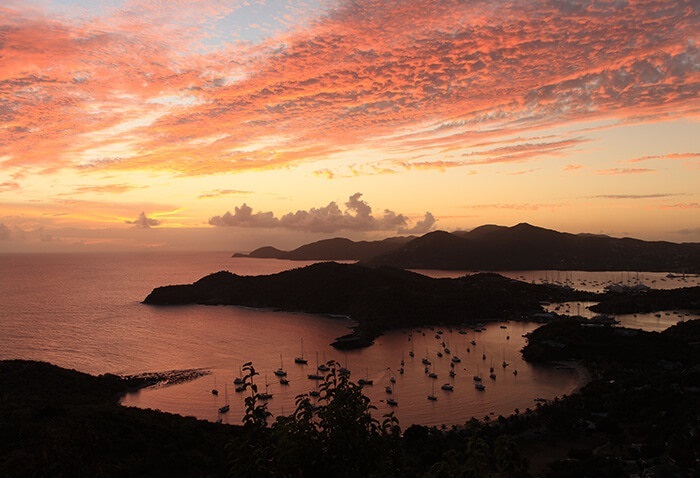 Here super yachts line the port and striking pastel-coloured buildings house high-end designer boutiques and upmarket restaurants and bars. 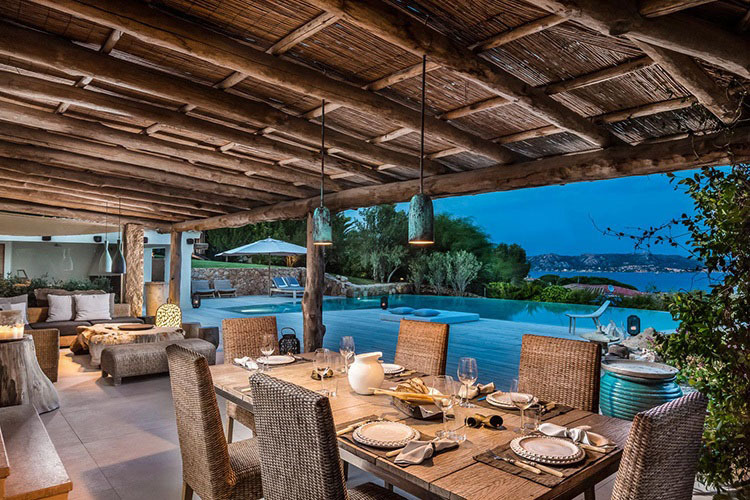 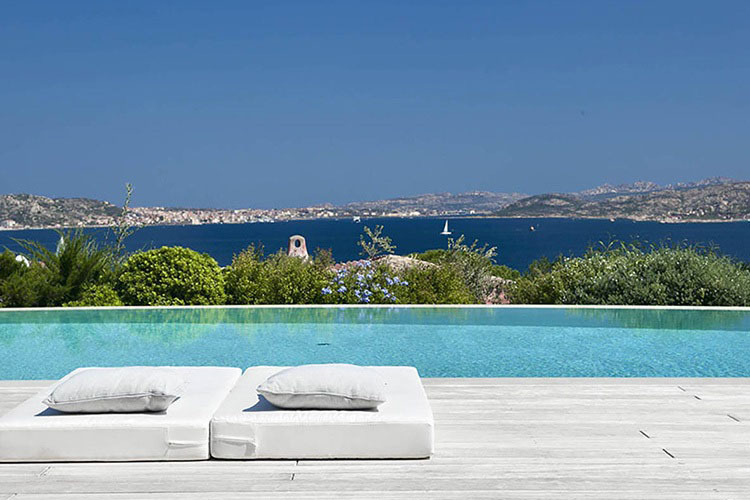 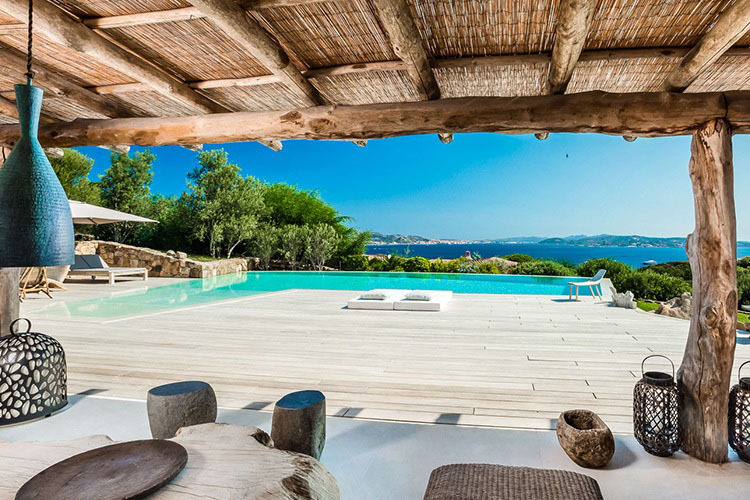 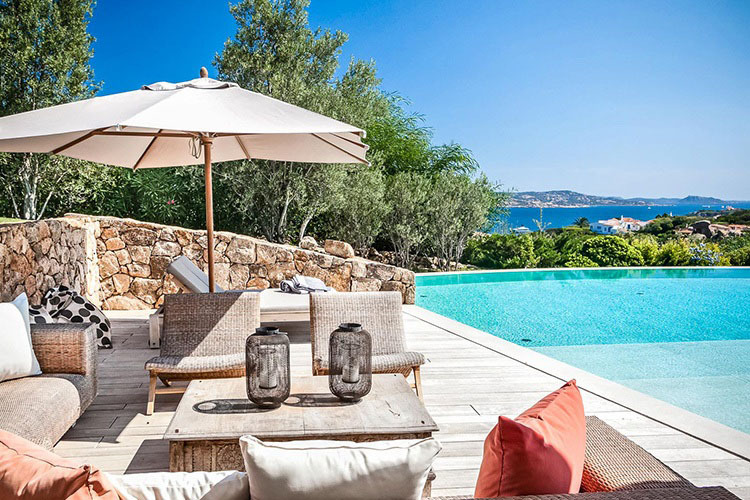 The favoured resort of the rich and famous, Porto Cervo is certainly worth a visit, if not solely for the glamour, but also for its unique charm and beauty. 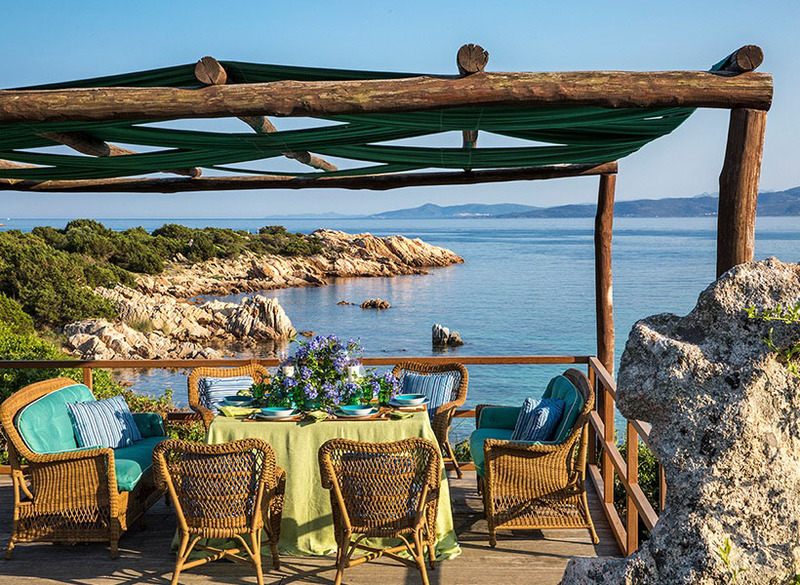 Yet there is more to this wonderful part of Sardinia than the glitzy resorts. 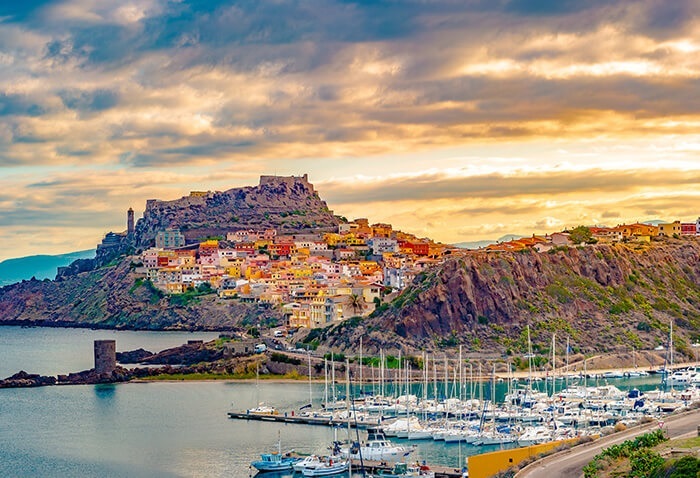 For a different side of northeast Sardinia, a visit to the market town of Arzachena will offer up several hidden treasures, including mysterious nuraghe (stone towers) ruins and giant tombs, whilst the charming traditional Galluran village of San Pantaleo is ideal for those seeking a sample of the Sardinian culture. 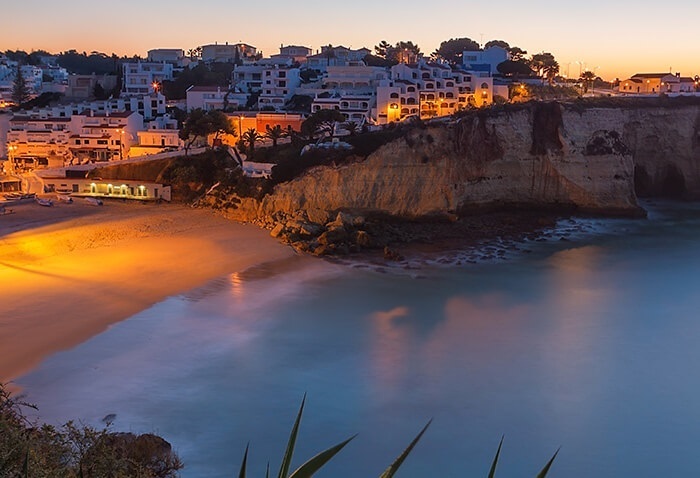 Other lively towns in the northeast area include the beach resorts of Palau and Porto Pollo which offer up their own charms including a wide array of restaurants and shops and fantastic watersport activities.